This Map depicts Most of the HaiDian District in the North-West of Beijing. Various Landmarks, Monuments and Hotspots of interest are marked on the map, including YuYuanTan Park and CCTV Tower in the South and The Summer Palace Museum in the North. Haidian could be dubbed the Educational District as it is Home to both Qinghua University and Beijing University, as well as a number of other institutes of higher learning in Beijing City. Overview Map of the Yiheyuan Summer Palace Park, Old Summer Palace ruins (Yuanmingyuan), Jade Spring Hill (Yuquanshan), Fragrant Hills Park and Beijing Botanical Gardens in North-West Haidian District. 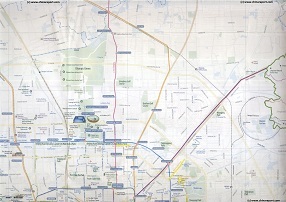 A Geographic Map of North Haidian & North ChaoYang District (2010). 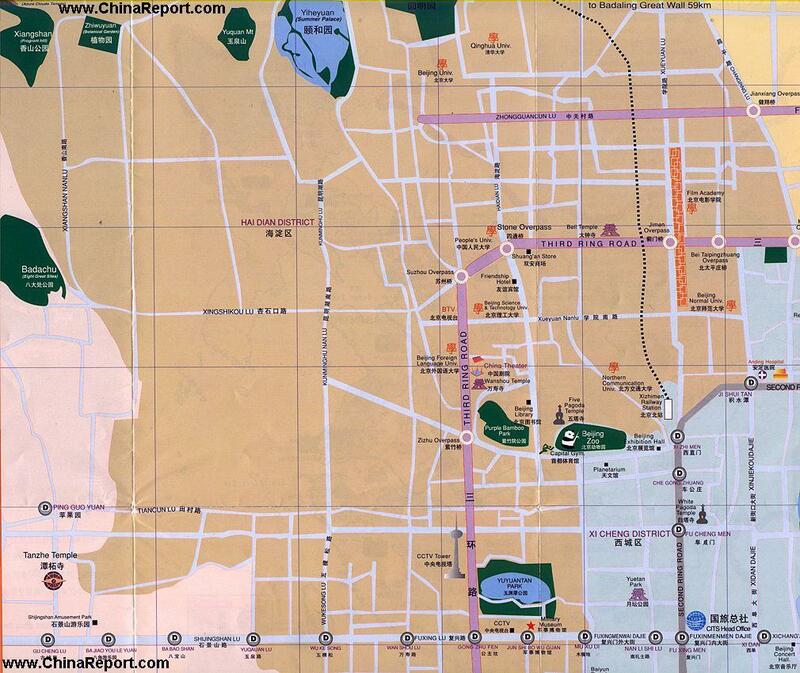 This Map depicts North ChaoYang District focusing on the 2008 Olympic Green (or Olympic Park) in the recently transformed North section of ChaoYang District. Included in the map are large parts of Haidian District in the West (Left), a small part of Changping District in the North, and minor parts of Dongcheng District and Xicheng District in the South. Browse the Map and follow the Links to more information and Photos! Beijing Zoo Attractions Map (Version 2010).